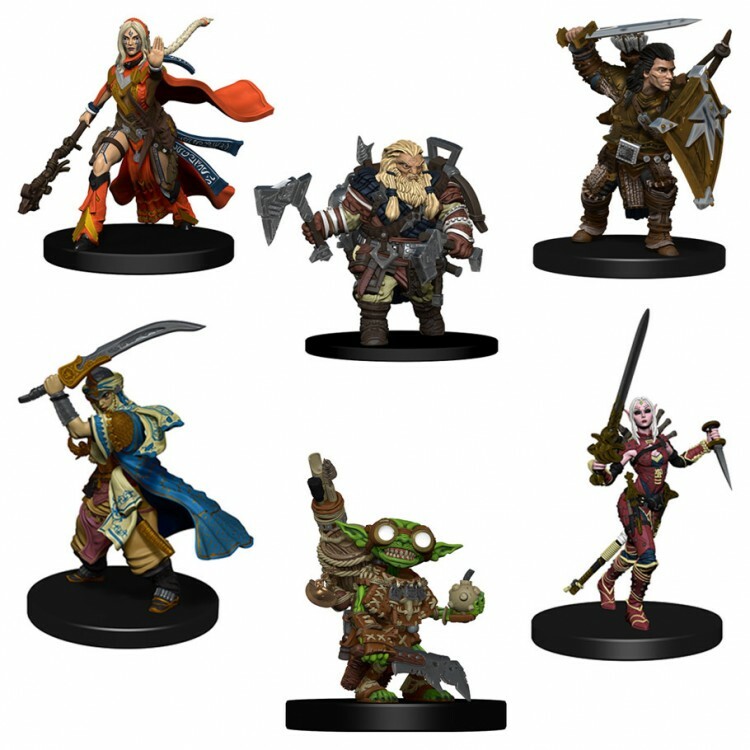 Pathfinder Battles: Playtest Heroes includes 6 all-new miniatures featuring famous personalities from the Pathfinder Playtest! Valeros, Human Fighter; Harsk, Dwarf Ranger; Seoni, Human Sorcerer; Fumbus, Goblin Alchemist; Mersiel, Elf Rogue; and Kyra, Human Cleric. Each of these miniatures is an all-new sculpt and will feature a dynamic pose, incredible detail, and a premium paint job. 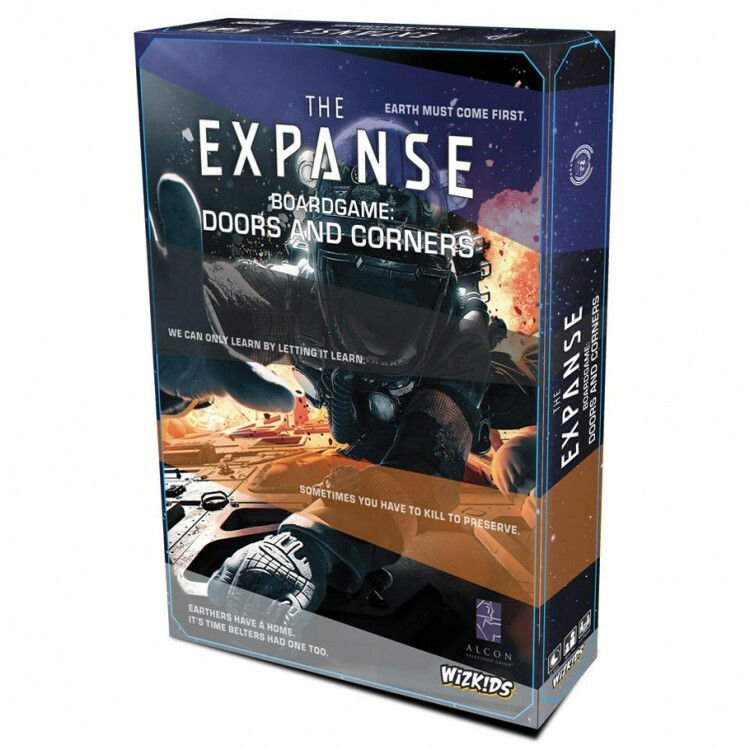 The five modules included in this expansion are: Leaders, New Tech, Resource Tokens, Protomolecule, and Variable Setup. Leaders go with fleets and can add influence when they move with a fleet. New Tech allows variety and surprise in what powers are available. When a tech is earned you have a three random choices for that tech. Resource Tokens can be spent in several ways including helping to pay CP costs, adding AP to a card (max 4), moving up the initiative track, and earning bonus points for having the most at final scoring. Protomolecule adds a new scoring opportunity. Variable Setup allows fleets and influence to be placed anywhere at the start of the game. New Rick and Morty accessories from Ultra Pro! Made with archival-safe, polypropylene, non-PVC film, Ultra PRO's Deck Protector sleeves keep your valuable gaming and trading cards safe by providing a protective film layer around your card, keeping it from surface scratches and other wear & tear typically caused by game play. These sleeves are sized to fit standard cards with dimensions measuring 2.5 x 3.5in. Made with Ultra PRO's proprietary ChromaFusion technology, these sleeves offer improved seal strength, highly detailed artwork while minimizing delamination. New Paizo Releases-Coming this November! A vacation on New Elysium, a luxury resort located on an asteroid in the Diaspora, goes horribly wrong as the facilities malfunction and the guests and staff turn violent. The heroes must protect themselves and aid those who have remained sane, including a wealthy android tech entrepreneur who might have some information about the cause of this madness—if he can be rescured from the old mining tunnels below the resort. The heroes must find a way to stop the growing delirium, even if it means going through the guests—including a celebrated champion of the vicious sport of brutaris—who have been transformed into hideous abominations! 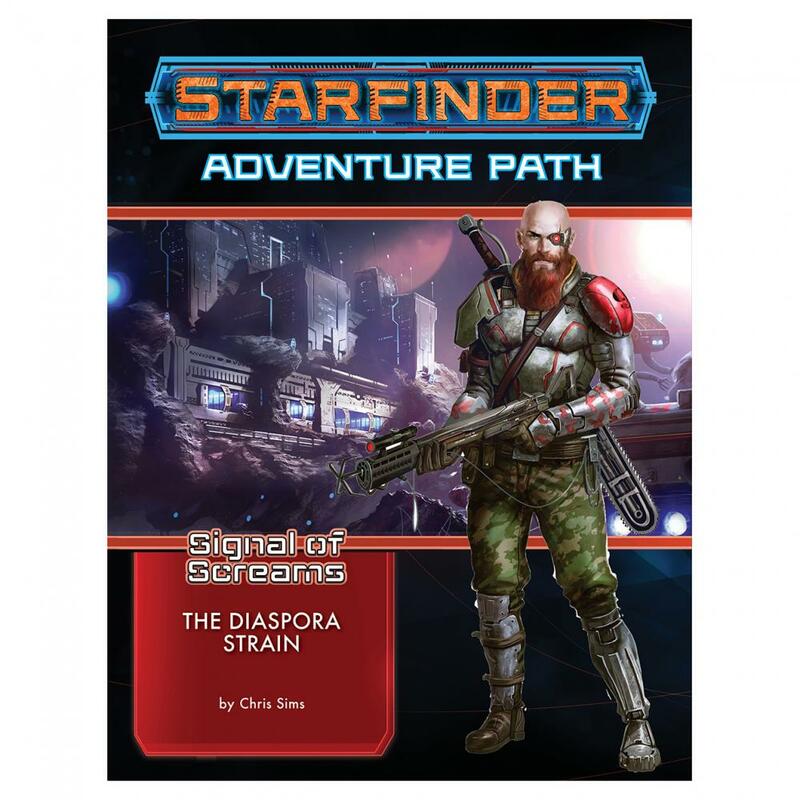 "The Diaspora Strain" is a Starfinder Roleplaying Game adventure for four 7th-level characters. The adventure begins the Signal of Screams Adventure Path, a 3-part, monthly campaign in which players must race to find the source of a mystical signal that warps both minds and bodies. It also includes a way to model forms of corruption that can taint a character's soul, advice on running horror campaigns in the Starfinder Roleplaying Game, and a selection of creepy new monsters. The Return of the Runelords Adventure Path continues as the heroes turn their attention to the cult of the Peacock Spirit, a mysterious and dangerous group whose remote mountain temple holds shocking secrets and terrible dangers. By braving the perils of the Temple of the Peacock Spirit, the heroes might just be able to prevent a truly mythic foe from emerging into the world. "Temple of the Peacock Spirit" is a Pathfinder Roleplaying Game adventure for 12th-level characters. The adventure continues the Return of the Runelords Adventure Path, an exciting extension of the Runelords saga set in the frontier lands of Varisia. 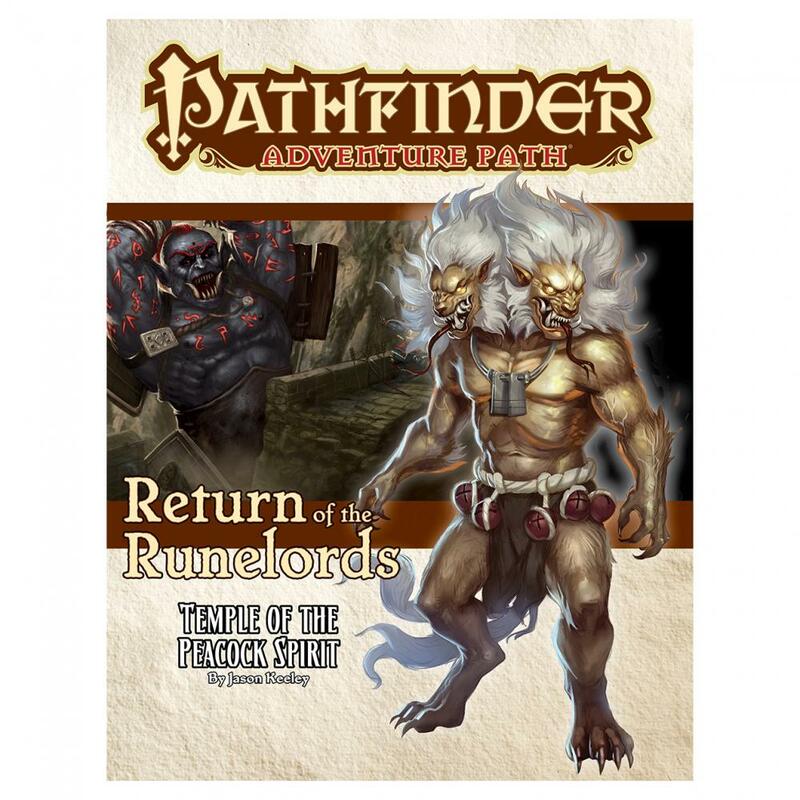 A selection of new monsters, an exploration of the evil outsiders known as asuras, and revelations of powerful rituals from the ancient realm of Thassilon round out this volume of the Pathfinder Adventure Path. 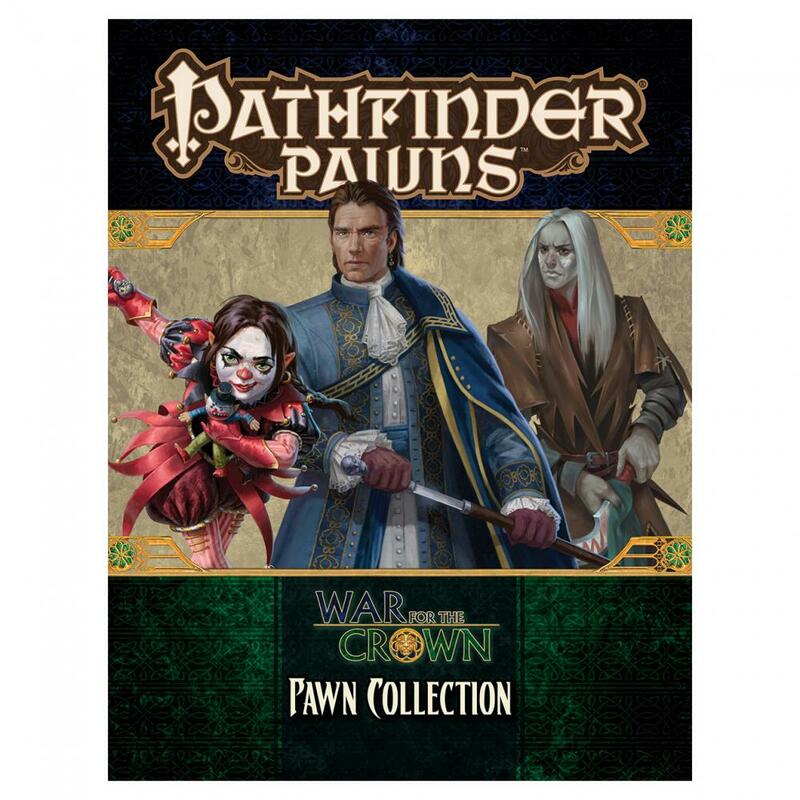 Key monsters and NPCs from the War for the Crown Adventure Path come alive on your tabletop with the War for the Crown Pawn Collection, featuring more than 100 pawns for use with the Pathfinder Roleplaying Game or any tabletop fantasy RPG! Printed on sturdy cardstock, each pawn presents a beautiful full-color image of a monster or NPC from the War for the Crown campaign, including nobles, vigilantes, assassins, and dozens of unique creatures. The War for the Crown Pawn Collection, together with the creatures and characters from the Pathfinder Pawns: Bestiary Box and NPC Codex Box collections, provides pawns for nearly every War for the Crown encounter. Each cardstock pawn slots into a size-appropriate plastic base from any of the Bestiary Box collections, making the pawns easy to mix with traditional metal or plastic miniatures. With tons of distinct images, the War for the Crown Pawn Collection brings to life the enemies and allies from all six adventures of the War for the Crown Adventure Path. No matter if your players are looking for a ship heading to distant lands, or taking a short walk on a long pier, Pathfinder Flip-Mat: Docks has you covered. Each side of this Flip-Mat presents two different docks. One is a bustling jumble of wood and ships on the seaside of a bustling city, while the other is nestled into a jungle-hidden pirate cove. Don’t waste your time sketching when you could be playing. 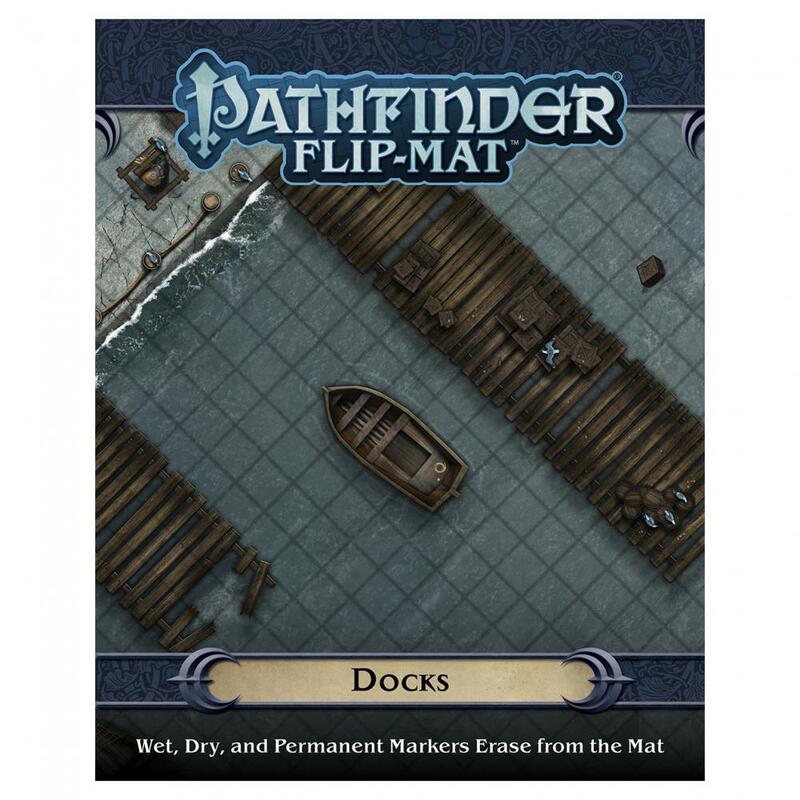 With Pathfinder Flip-Mat: Docks, you’ll be ready next time your players wish to seek passage to far off shores. 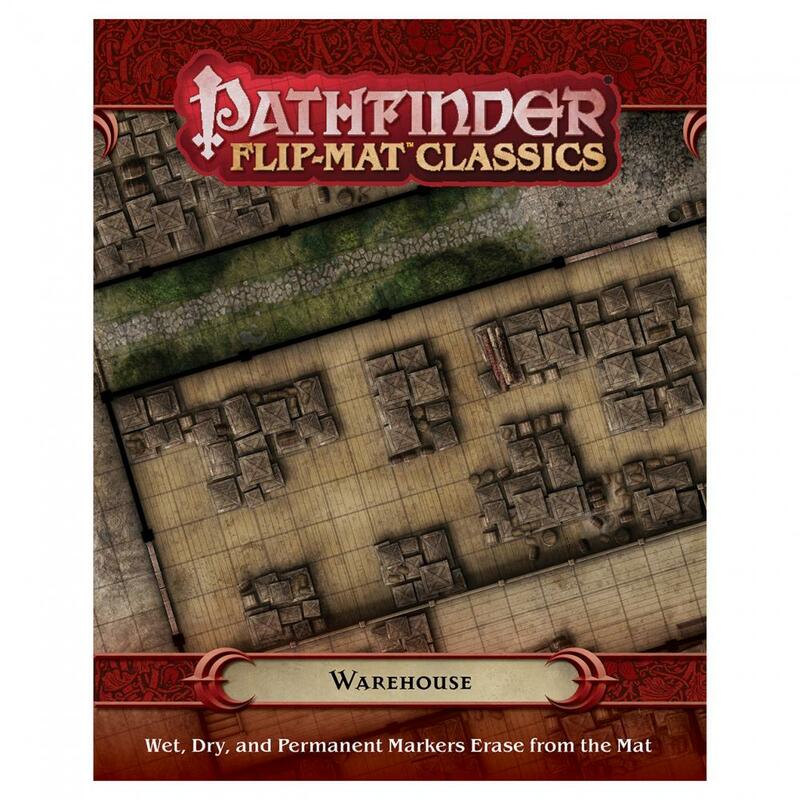 Who knows what criminal conspiracies and deadly deals might unfold amid the maze of merchandise in Pathfinder Flip-Mat Classics: Warehouse? With a full suspicious scene on each side—one along the waterfront and the other with a holding yard—this durable accessory can serve as ambush site or hideout in any tabletop fantasy campaign! Whether the heroes want to install cybernetic augmentations in their bodies or are searching for the source of an otherworldly plague, no Game Master wants to spend time drawing every nurse’s station and operating room. Fortunately, with Paizo’s latest Starfinder Flip-Mat, you don’t have to! This line of gaming maps provides ready-to-use science-fantasy set pieces for the busy Game Master. This double-sided map features a futuristic, high-tech medical center on one side and a sinister, abandoned infirmary on the other. Don’t waste time sketching when you could be playing. 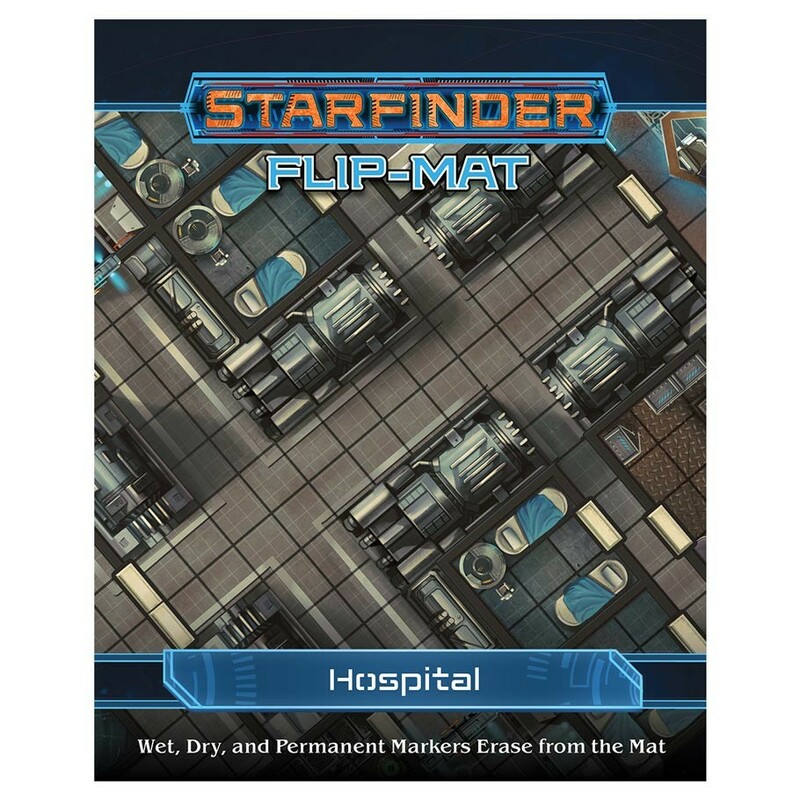 With Starfinder Flip-Mat: Hospital, you’ll be ready the next time your players need medical treatment for their injuries! Folds to 8" × 10"
For some heroes, the strength of the self holds more potential than any other training. These practitioners use martial arts to hone their own bodies as weapons, or they wield deadly weapons in combat as extensions of themselves. 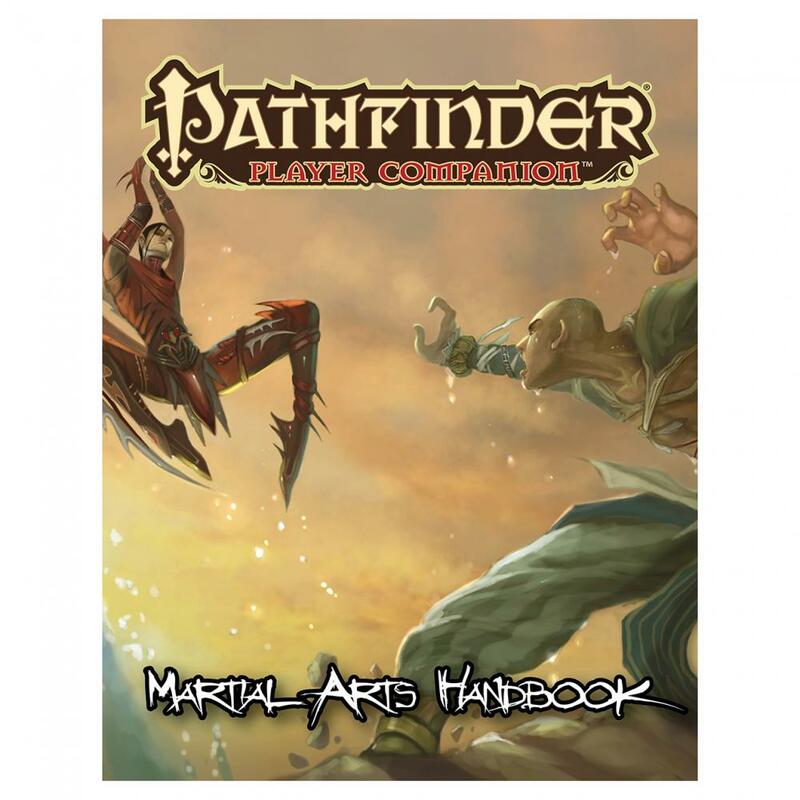 Pathfinder Player Companion: Martial Arts Handbook delves into the various traditions, techniques, and styles of those who push their physical forms toward perfection. From fearsome kicks and punches, to expertise with mighty weapons, to harnessing the power of ki, this player-focused volume provides new archetypes, feats, styles, and weapons that allow characters to make the most of their own combat skill. New D&D releases from Wizards of the Coast! New Fate Dice from Evil Hat Productions! New Release from Wyrd Miniatures, LLC! New November releases from Queen Games! 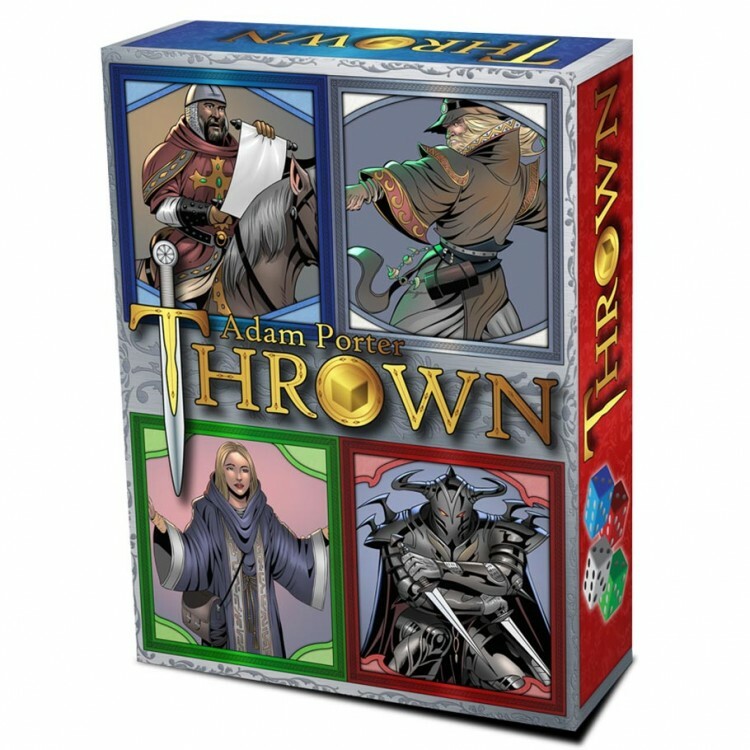 New releases from Archona Games! New releases from Tasty Minstrel Games! Narcos and more new releases from CMON! Potion Explosion 2E & More! New from CMON! New D&D releases and more from WizKids! New releases from Cryptozoic Games! The Other Side! New from Wyrd Miniatures! Terminator: Genisys & more! New from ALC Studio! New Pokémon TCG Releases out this November! New November releases from Osprey! Cerebria: The Inside World! New from Mindclash!